Jeremy Wheeler’s werewolf design t-shirt is back on sale for a limited time. There will be some new stuff hitting the Bandcamp page soon. What will it be? Time will tell. For the rest of the month (March ’16), Damon Bishop’s She-Wolf t-shirt is 25% off with code ‘T25’ under the merch tab on the bandcamp page. Grab yourself one today. As Halloween claws closer, look for more information on the release of The Dead House. Also, keep an eye out for special Halloween-themed covers in October and the MetalliWolf t-shirt available EXCLUSIVELY through Fangoria Musick. Damon Bishop shirt available and more. Sorry for the lack of updates. Been busy with a ton of projects and I have completely neglected werewolvesinsiberia.com. I’ve done a soundtrack for an upcoming 80’s slasher movie style comic entitled “Slice”. That’s all the info I can give at the moment. I’ve also been tweeting/facebooking ominous pics of DeathRace 2000. There’s a reason for that. All I can say right now is that it’s the invitation for a new project I’m currently working on and almost finished with. Damon Bishop has designed a new t-shirt. Get it in the bandcamp store. ‘Tis the season for black metal. 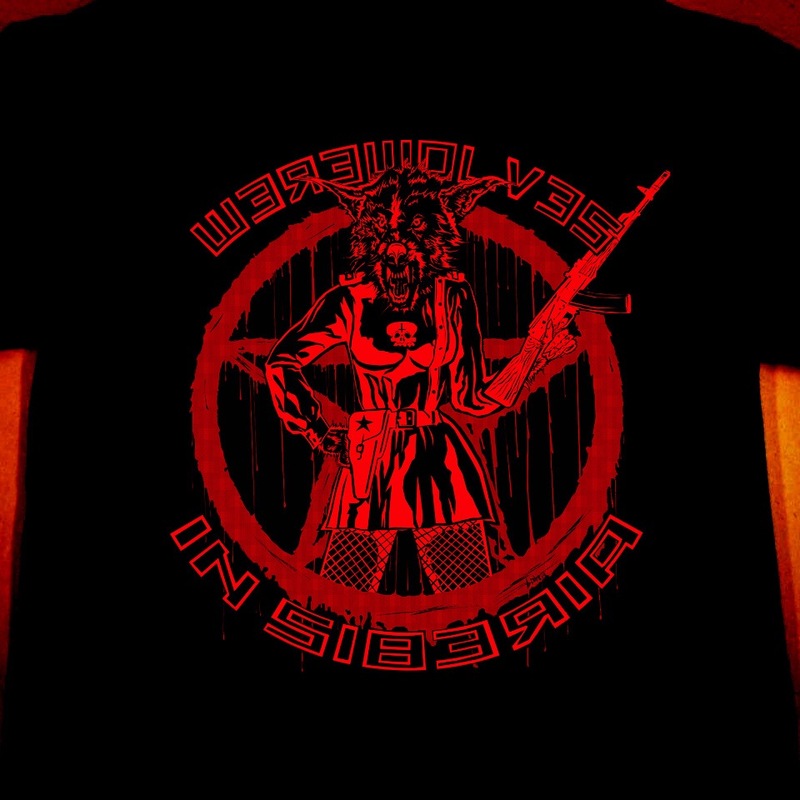 The new Werewolves in Siberia shirt is the perfect ode to the genre. You can get it next week. Looking for a one color design (preferably on black background), it doesn’t need to have a werewolf no it, it just needs to be horror-related and actually say Werewolves in Siberia on it somewhere. That’s it. Use a song title, make something up, whatever. Visit WerewolvesInSiberia.bandcamp.com for some inspiration. If your design is chosen, you will be credited, of course, but you will also receive approximately 30% of SALES PROFITS per shirt for the first 6 months of sale. You will also receive 2 shirts in whatever sizes you request. 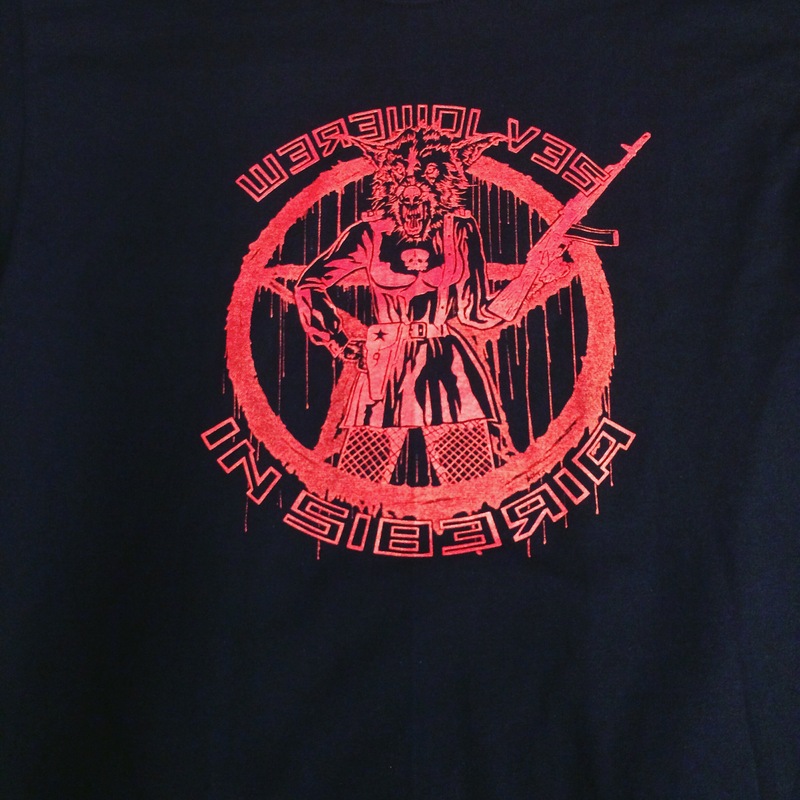 Send over hi-res jpeg to werewolvesinsiberia@gmail.com with subject “shirt design”. Promotion ends December 20.